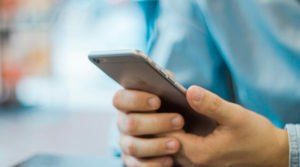 Back on March 16, 2011, Google stopped providing its standard Analytics benchmarking thorough its Google Analytics reports; on Friday July 1st however; Google decided to provide this benchmarking data back to its users through a monthly newsletter. If you have opted-in anonymous data sharing with Google Analytics, the newsletter is likely in your e-mailbox by now. What is Google Analytics Benchmarking? Google Benchmarking is a statistical analysis report comparing the data gathered from hundreds of thousands of sites opted-in anonymous data sharing with the same data gathered a year ago during the same monthly period. 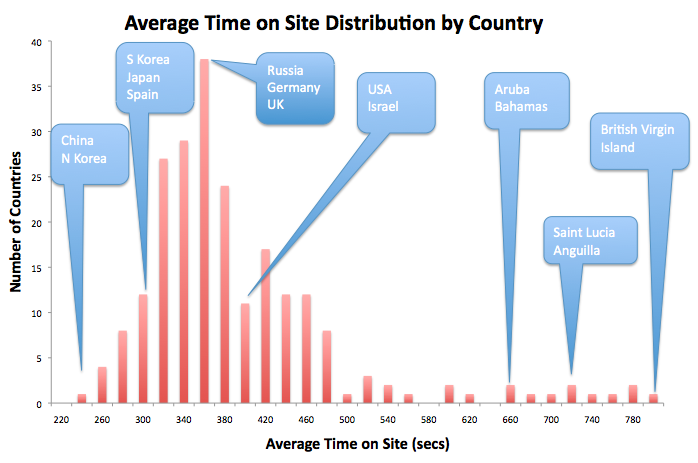 The historical data is considered the baseline or the benchmark for sites performance on the different captured metrics. Traffic sources below are identified by how the “source” and “medium” parameters are received by the Google Analytics collecting servers. Here is an article describing what these designations refer to. 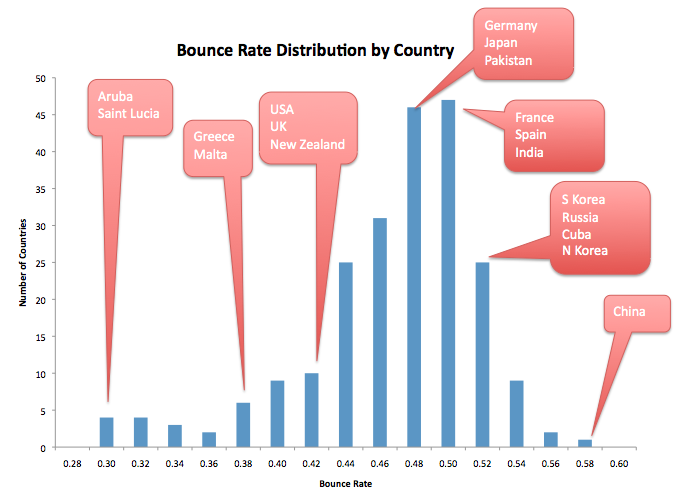 Many marketers’ favorite metric is conversion rate. 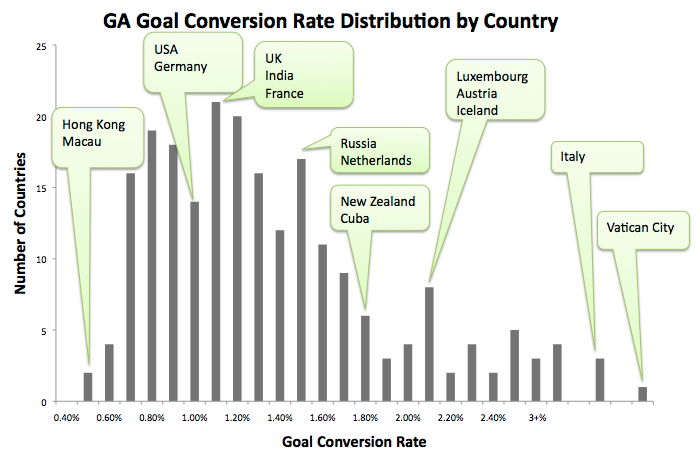 Here is the worldwide distribution of Google Analytics “goal conversion rate” by country. Would anyone have guessed that states which are known for conversions are also high for their citizens’ goal conversion rate? Note that for some states with few population, the statistical significance of the conversion metric comes into doubt. I'm still not receiving any benchmarking reports by email - anyone else having any luck with this?? A representative from Google has assured me that the email reports are industry-specific. Yet the email itself does not reference which vertical or industry the data is from. I use Google Analytics to track web traffic for a college/university website--and the benchmarking newsletter I received has identical information to the one you have written about here. Do you also have an analytics account for a higher education website? Or is Google not actually providing industry-specific benchmarking reports? Hi there, Good tutorial. This is an excellent feature that Google has introduced. There must be more detailed articles on when some one can use features like this. Where exactly do I sign up for the Benchmark data? As in where is the optin for the newsletter? The link is actually in the post above, here it is again, http://analytics.blogspot.com/2011/03/evolution-of-analytics-benchmarking.html Just follow the link instructions to opt-in anonymous data sharing, if you don't see the Benchmarking in your Analytics. Very nice. 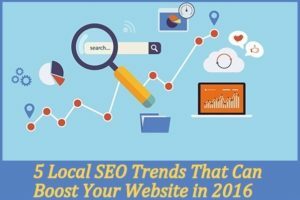 Thanks for sharing this article!Very useful resource and informative. Looks like it's gonna be pretty handy in analysis traffic. 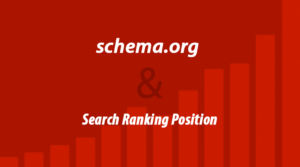 Good for SEO! I noticed that some days ago because I got an e-mail with this subject: "Google Analytics Benchmarking Newsletter". I haven't noticed this benchmarking function in Google Analytic yet. Seems like a handy comparison for some metric. What data do they collect for the conversion rate? i.e. how do they track the conversion rate? 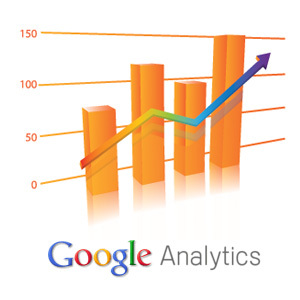 When both Google Analytics account and Google Adsense account are linked, this information becomes available. This linkage will help you manage both account through one main interface as well.